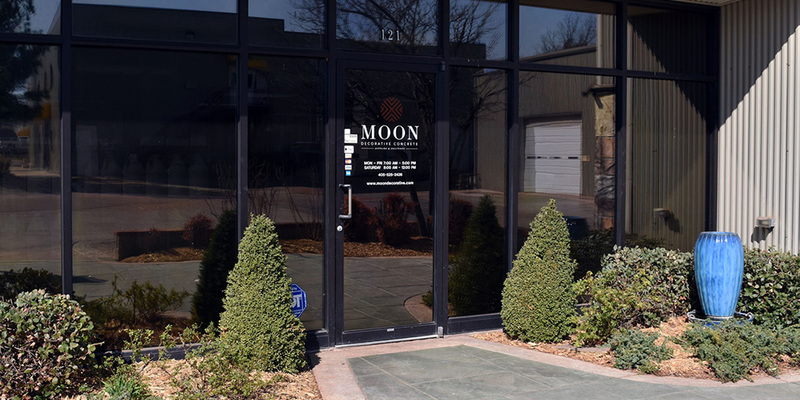 Moon Decorative Concrete’s mission is to serve contractors with the highest quality training, products, and service while developing and growing the decorative concrete market. We offer monthly training classes on acid staining, overlays, concrete countertops, coatings and stamping for DIYers, artisans, and contractors in the concrete and construction industries. Our product line includes all that anyone would need for all concrete applications indoor and out, and our service is to assist you with your projects. Moon Decorative Concrete can be contacted 7:30am to 5:00pm CT Monday through Friday and from 8:00am to noon CT on Saturday. Call us toll free at 888-848-0059. We look forward to working with you.